Top up finance with an advance rate of up to 120% of your sale ledger? 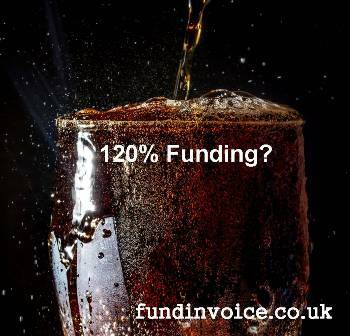 We have just had notification from one of our of our panel of invoice finance companies that they can now offer total ABL funding of up to 120% of the value of your sales ledger. They have just launched Asset Cash Release, and ABL (asset based lending) solution which can top up the amount of finance that customers can access. For facilities of between £50K and £1M, the effective advance rate can be as high as 120% of sales ledger value. They promise a simple, single application process and one point of contact from application to ongoing client management. Growth Opportunity Or An Unexpected Bill? If you have an unexpected bill or a new opportunity for growth, this kind of top up finance could be a good option. Please contact us or call Sean on: 03330 113622 for more details and the full terms and conditions.